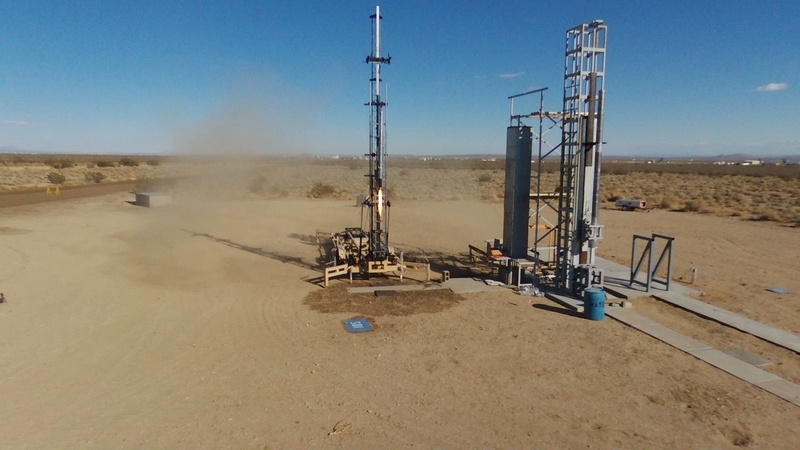 The IOS rocket team successfully completed the first test of Interorbital's NEPTUNE series launch vehicle's liquid upper-stage rocket engine (GPRE 0.75KNTA). Engine performance was well within its design parameters, generating a sea-level thrust of 750 pounds and a sea-level specific impulse of 245 seconds. This translates to a thrust of 1,000 pounds and a specific impulse of 300 seconds in a vacuum (with expansion nozzle). The ablatively-cooled rocket engine is powered by the hypergolic combination of White Fuming Nitric Acid (WFNA) and Turpentine/Furfuryl Alcohol. These high-density storable auto-igniting propellants power all IOS liquid rocket engines. Interorbital's N1 launch vehicle utilizes two GPRE 0.75KNTA engines for its second stage and a single GPRE 0.75KNTA engine for its third stage.